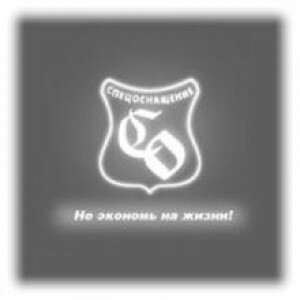 Gorka P created by SSO company. 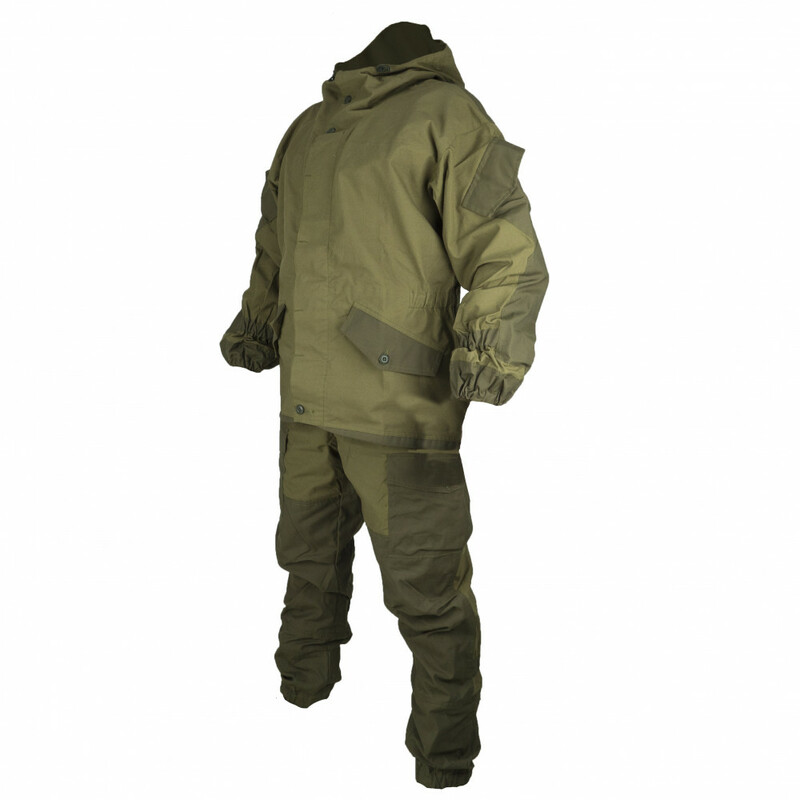 This suit is extremely popular and used by Special Forces, fishers, hunters and of course airsofters. Firstly was produced in the end of 90-x, this suit still in use. Why this suit is so popular? There a lot of factors. First of all - high quality of suit. SSO have one of the most modern machines for production. Second - this suit made from expansive fabric (it's affect on price), but it's very durable and tight fabric and it's provide wind and water proof. Third of all - it's reinforced with additional fabric on sleeves, legs and elbow, it's provide additional durability for suit. 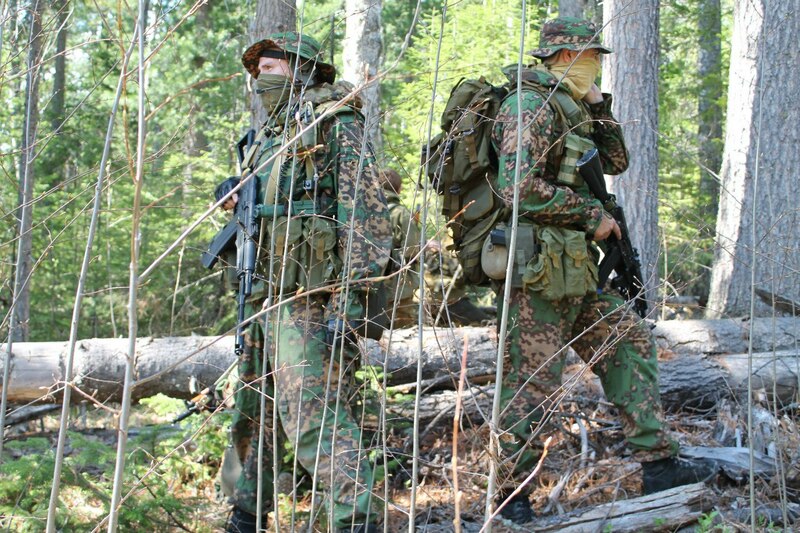 Main difference between Gorka-C and Gorka P - P doesn't have big pocket on breast, and usually used with bodyarmor. 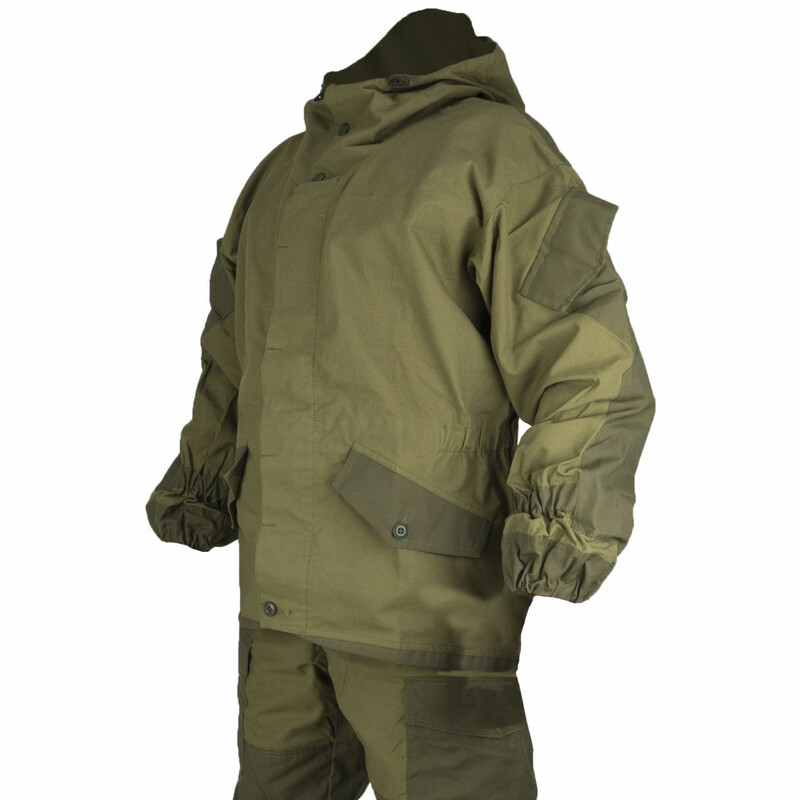 This suit very popular and still used by FSB and SOBR units in mountains, when they need durable suit for extremal conditions, like heavy rain or wind.